One of the things I love about living in Mexico is that it is possible to stumble upon the most interesting things when you least expect it. 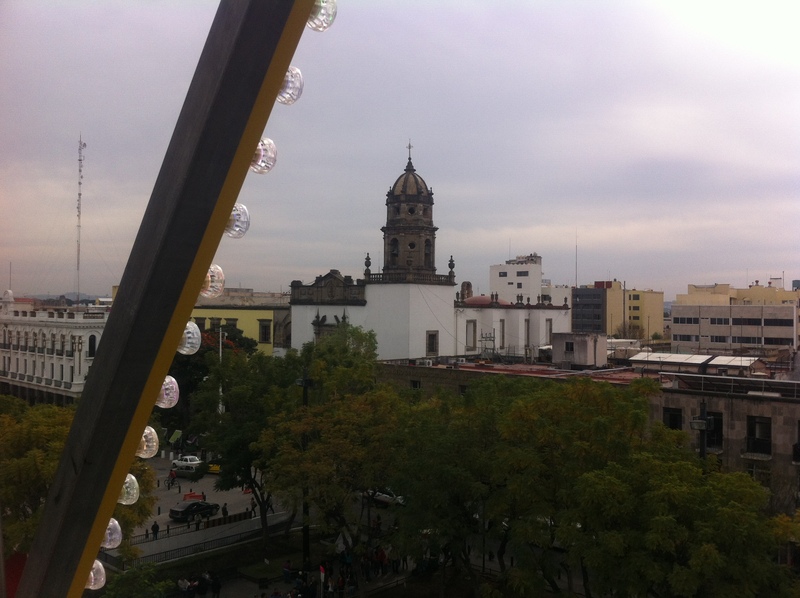 Yesterday I was in Centro walking down one of the main streets when in the distance I spied a Ferris wheel. I decided to investigate. 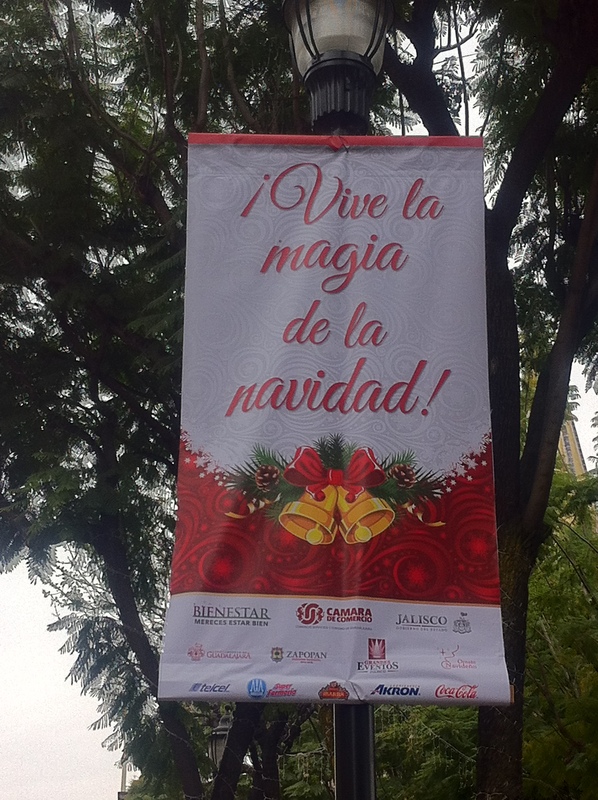 My walk took me to Plaza De Las Armas, and I was delighted with what awaited me. 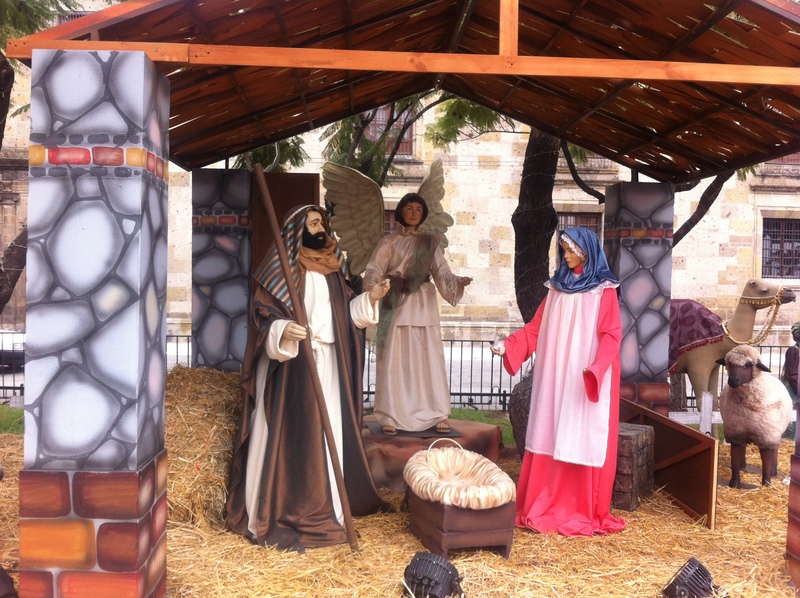 First of all, there was a stunning nativity scene. 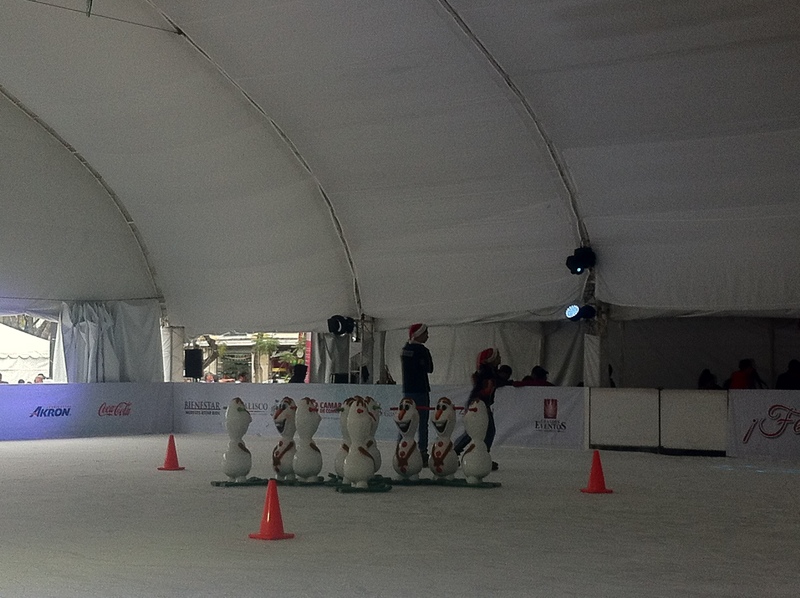 There was also a skating rink, a very popular attraction for children and adults alike. 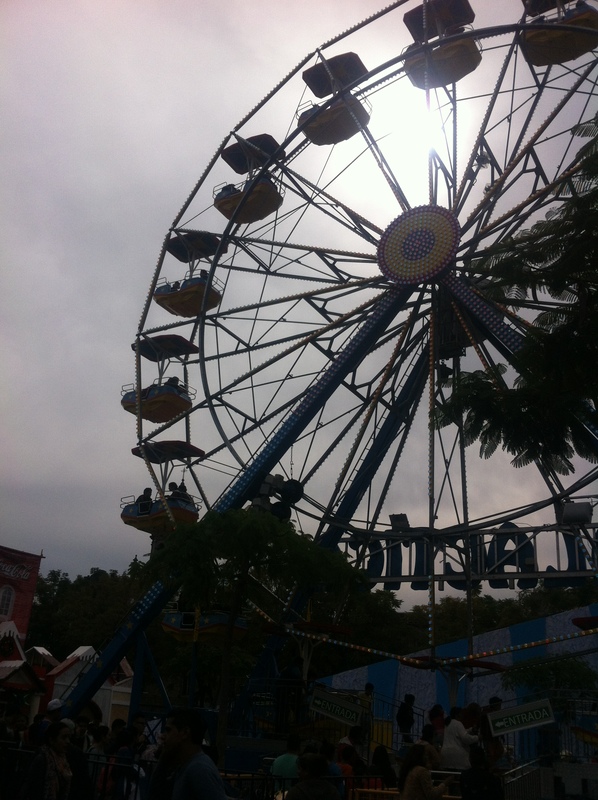 The Ferris wheel caught my eye, and although I have a fear of heights, I decided to accept the challenge. I’m glad I did. The view was spectacular! 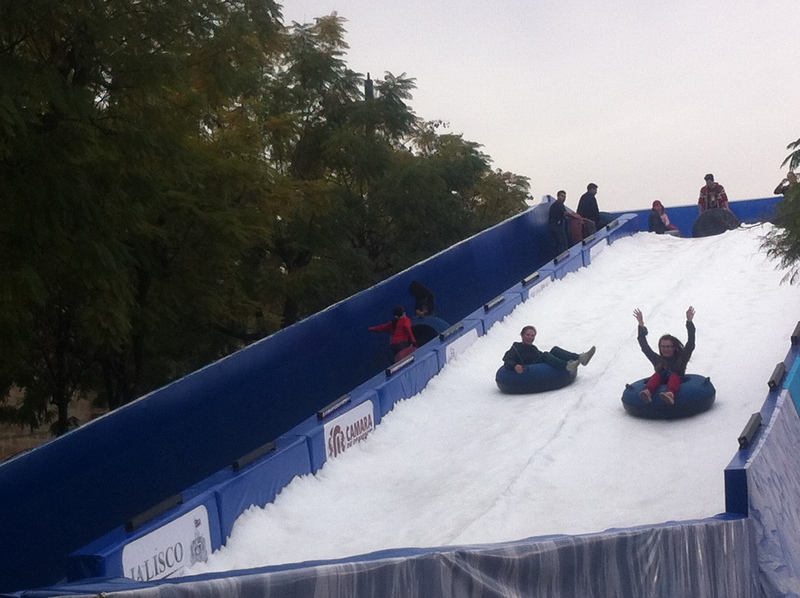 People also sped down a slide in inner tubes. 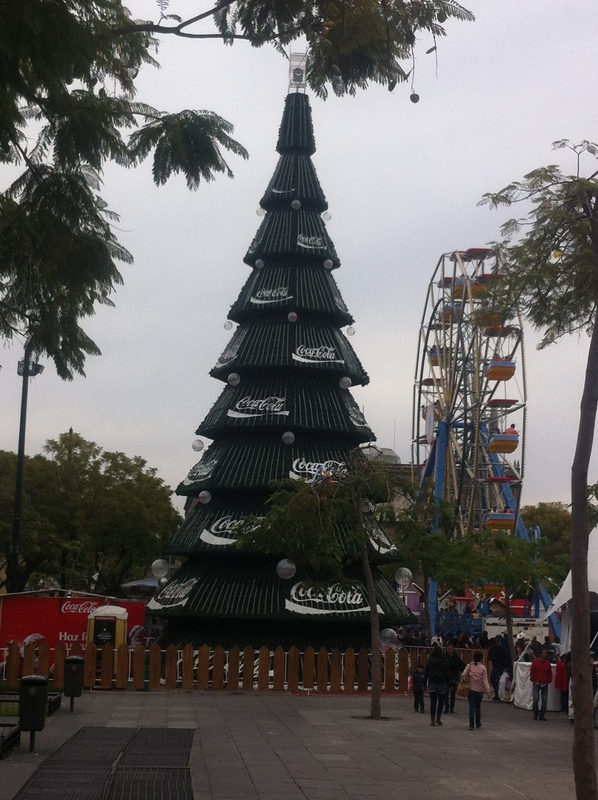 And of course there was the obligatory Coke tree, the sponsor of this venue. Music was also on the menu as a band was just warming up as I was leaving. And there were a variety of stalls set up selling Christmas items and food. And have a look at this quaint little structure. 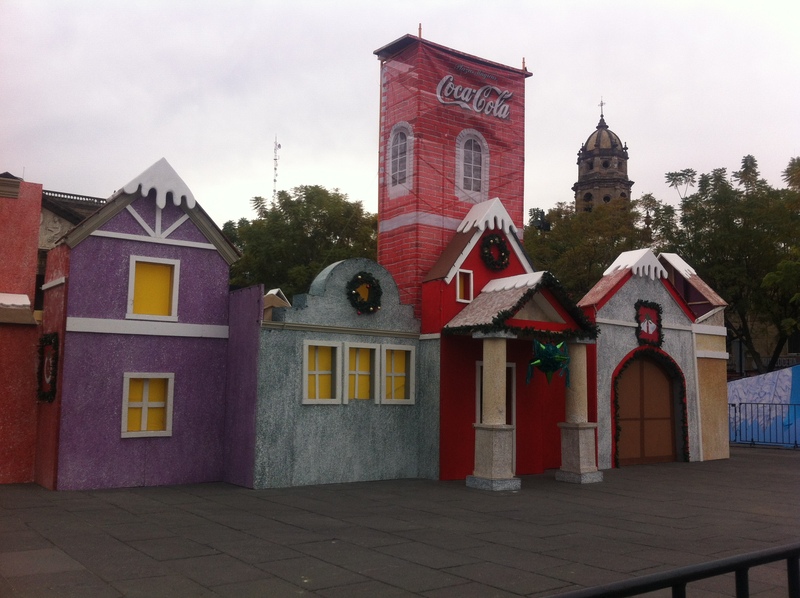 Yes, this little Christmas wonderland brightened up a cloudy day in Guadalajara.